This entry was posted in Cottage Life, Everyday Life Abroad, Research and tagged Friday, grocerystore by Janice Hillmer. Bookmark the permalink. 1) You and Catticus are getting crunk! 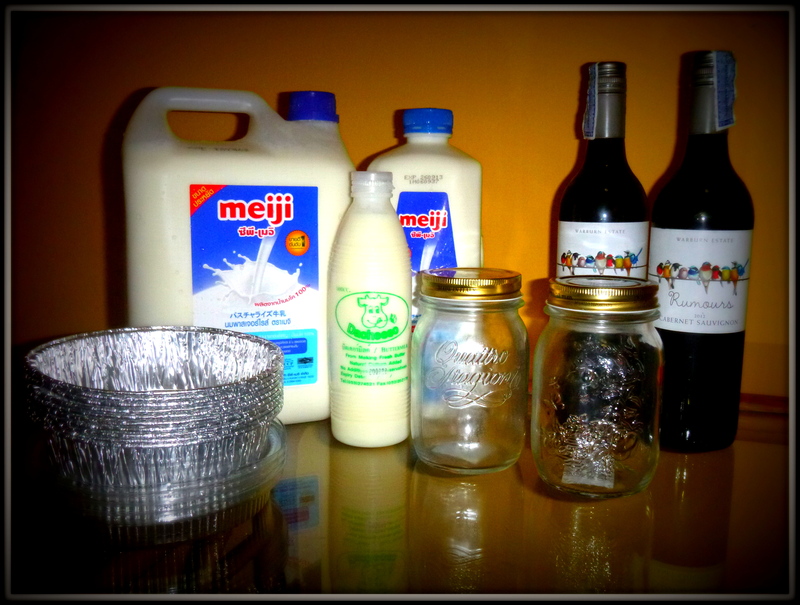 Wine for you, milk for him, a new bowl or jar for each new drink! 3) Musical Instruments! Fill each bowl and jar up with different amounts of different liquids with different consistencies. Hit with a spoon and you’ve got yourself a homemade glockenspiel! Homemade body lotion? Wine-scented? I need to sleep on this…maybe more tomorrow. If you’re doing what I think you’re doing, we definitely need a follow-up! The wine is to get you through the process with your sanity intact. ooh! good guess, Natasha! That gets my vote! Send me a tin of cheese, please! Why would you ever make paneer when you could make any other kind of cheese? My feelings on paneer are 1) not a real cheese 2) flavorless, which is why you have to mix it with so many other things 3) not a sufficient substitute for cream cheese when you want some good cheesecake. Conclusion: not worth the calories. Were they successful? I’m especially interested in this cheddar, but I guess if you know if it’s tasty then it probably wasn’t called aged cheddar.